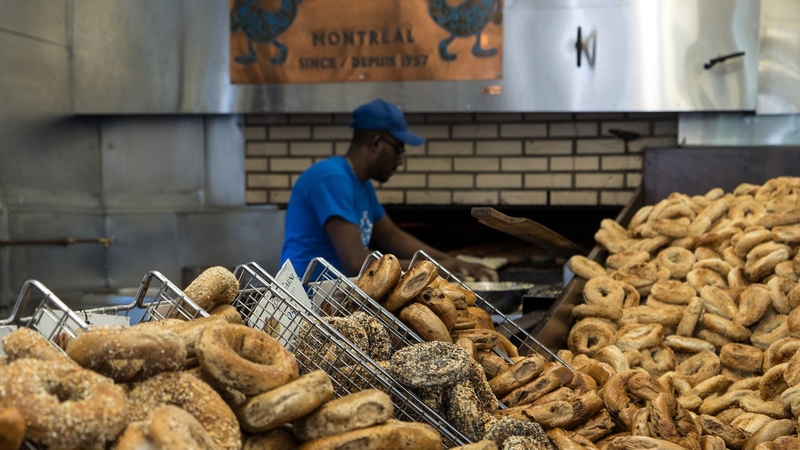 Will Montreal Bagels Soon Be Extinct? Some Montreal politicians are pushing to get rid of wood-burning ovens. Montreal vs. New York Bagels: What’s the Difference? This may be no more. Jean-François Parenteau, a Montreal politician who currently serves on the Montreal Executive Committee, is set on ending harmful air pollution in the city. Parenteau passed a new bylaw in early October that focused on wood-burning commercial establishments in the city. If these establishments — including beloved bagel shops, Italian pizzerias, and others — cannot decrease their harmful emissions, they would be forced to switch their wood-burning ovens to gas or electric. But does this mean they *want* to move away from tradition? Joseph Rosen, reporting for The Globe and Mail, went to Fairmont Bagel to ask the owner, Yitzhak Nissan Shlafman, about the proposed changes. Shlafman told The Globe and Mail that he “will switch to gas if he has to — and if the other bagel bakeries do it at the same time,” but fire lends character to the bagels that isn’t easily replicable. “Everybody who works here is an artist!” Shlafman said, referring to the art of bagel baking. It is confusing why Parenteau and the Montreal city hall are focusing on wood-burning establishments when air pollution is caused much more by cars, residential homes, and industrial establishments. Fingers crossed we don’t lose the Montreal bagel anytime soon. A cultivated list of classic and innovative eats in collaboration with The Gefilteria. The longstanding debate about New York vs. Montreal bagels continues.